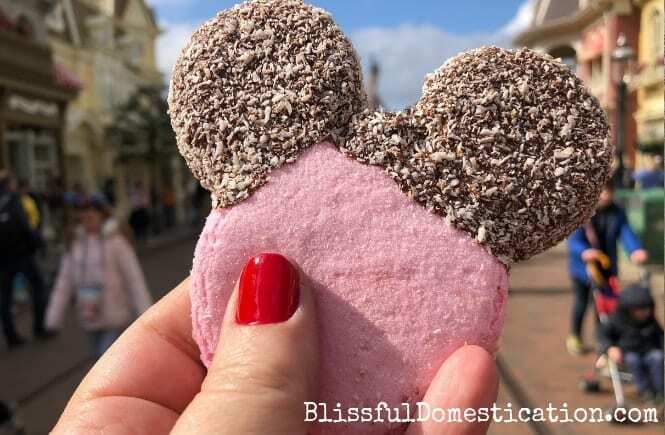 If you’re planning a trip to Disneyland Paris and you have a sweet tooth, then no doubt just like me you have been trawling Pinterest and the internet for all the Disney Themed Sweet Treats that you’ll be able to consume. There are loads of amazing looking foods you will come across. I’ve Seen mermaid cupcakes; Mickey shaped doughnuts, pretzels and Macaroons; and the most amazing looking Frozen themed cake pops. 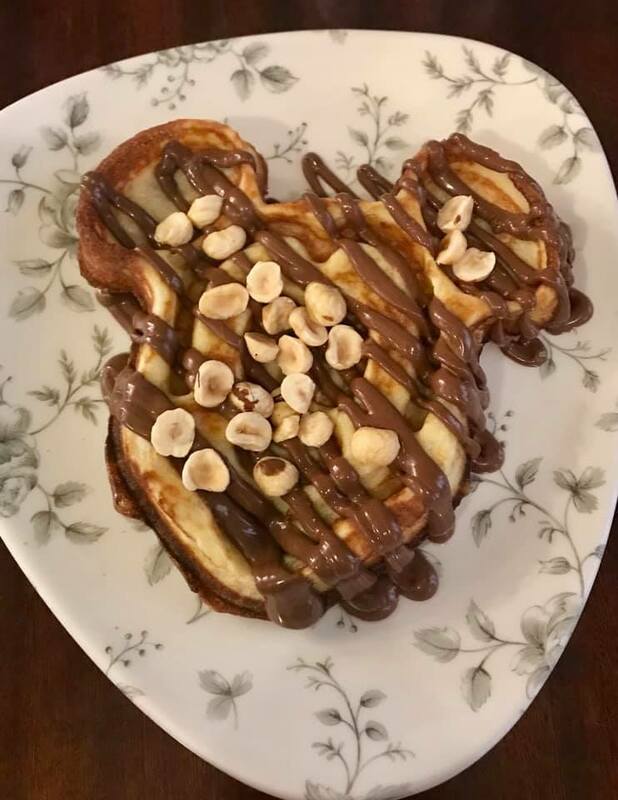 But sadly, when you click on the images and read the posts you soon realise that these are all found in the other Disney parks, and there is less oppourtunity to eat all things Disney at DLP. 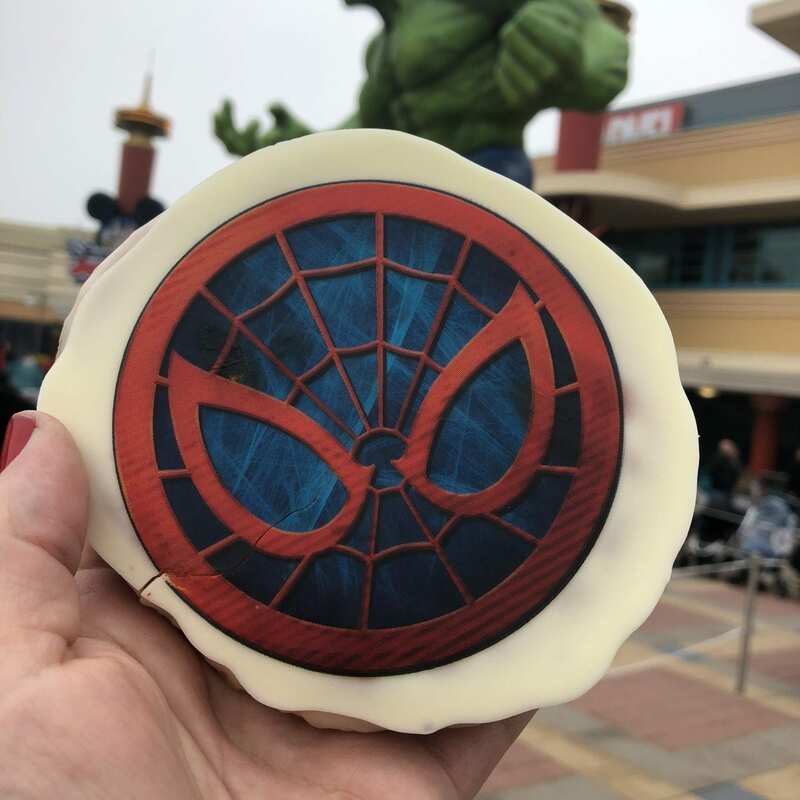 However, on a recent trip to Disneyland Paris, I made it my mission along with my daughter to seek out all the Disney Themed Sweet Treats that we could find. Purely for research purposes of course! Not an easy task as they tended to be well hidden. But if you hunt hard enough amongst the various restaurants, eateries and vending carts you can find some hidden gems. I’m sure we didn’t find them all, but just in case you wanted to seek them out yourself, I thought I’d share with you what we found. 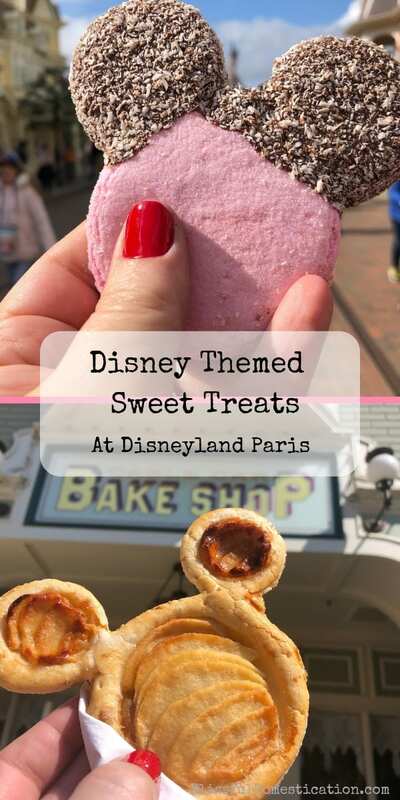 So here are over 20 Disney Themed Sweet Treats that you can find in Disneyland Paris, don’t forget to Pin it for later! Pin Disney Themed Sweet Treats for Later! It came as no surprise that the vast majority of Disney themed sweet treats that we found were Mickey shaped. 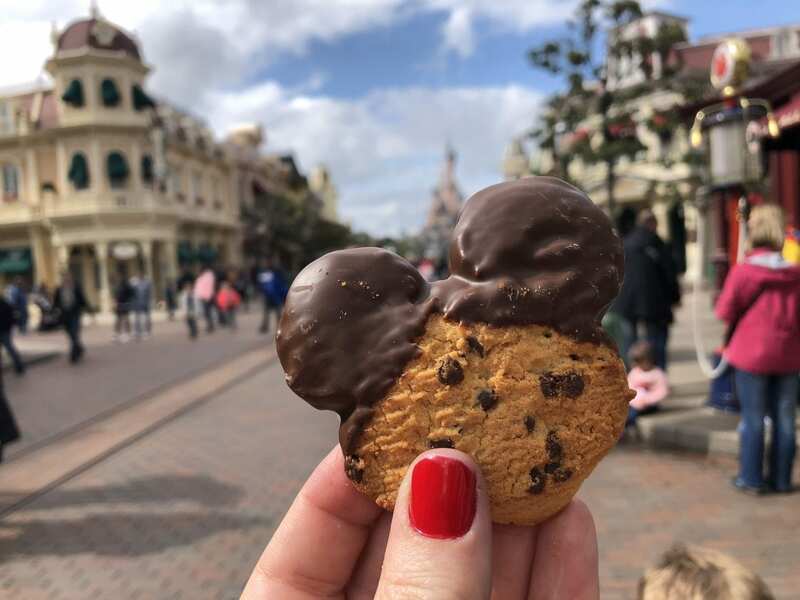 It emulates all things Disney, and you simple can’t beat eating a Mickey shaped treat on Main Street USA in front of Aurora’s castle. The first awesome find is a little sweet shop not far from the entrance. It’s called ‘Delicious Sweets’, and is second on the right as you enter Main Street USA. 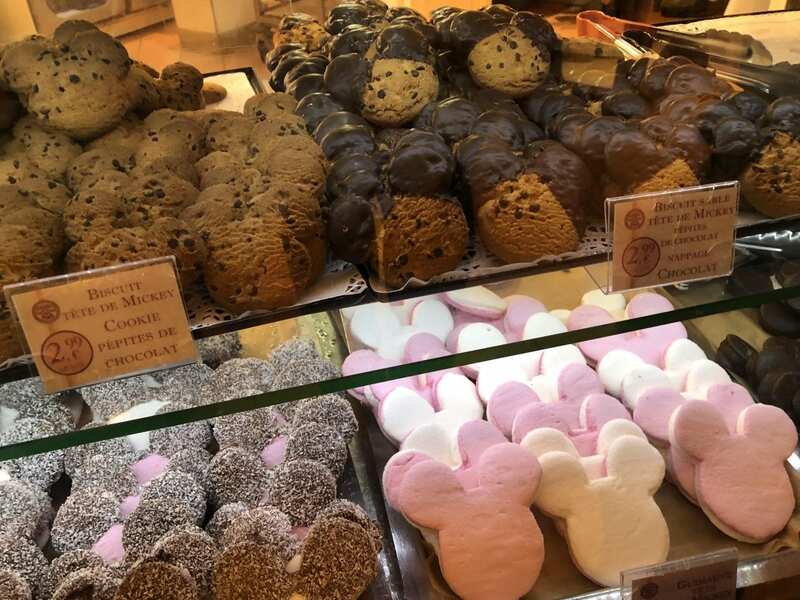 It’s primarily a sweet shop, but there is a small bakery counter which sells Mickey shaped treats. You can choose from Mickey Meringues, Mickey Meringues with Chocolate, Mickey Cookies (plain and chocolate chip), Mickie Cookies with Chocolate ears, Mickey marshmallows and Mickey marshmallows with chocolate dipped ears sprinkled with coconut which tasted amazing and not too disimiliar to my coconut & rapsberry marshmallow hearts. I have plans to source myself a Mickey cookie cutter and recreate these delicious treats. Just a little further along Main Street, also on the right, you will find the ‘Market House Delicatessan’. 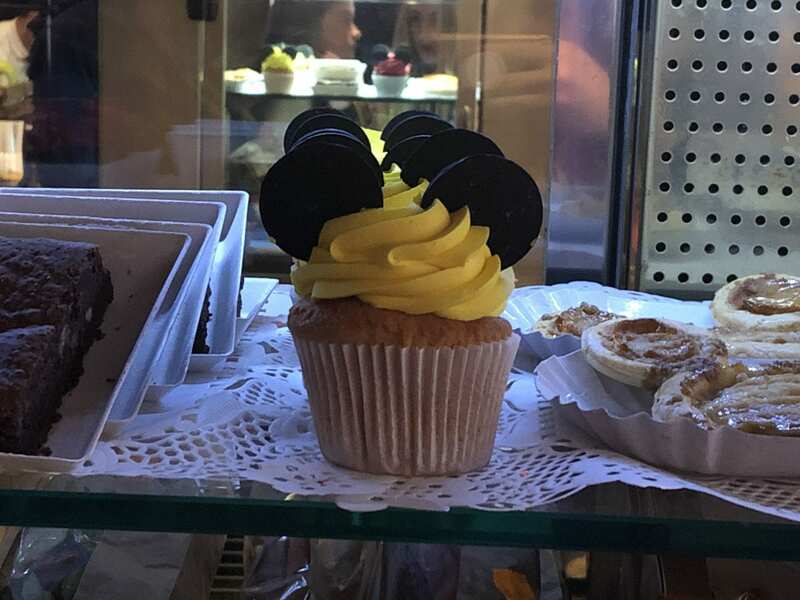 Here you will find some Mickey cupcakes. Ok they are cupcakes with a couple of oreo cookies as ears, but that’s good enough for me. I didn’t sample one but couldn’t resist taking a sneaky pic! 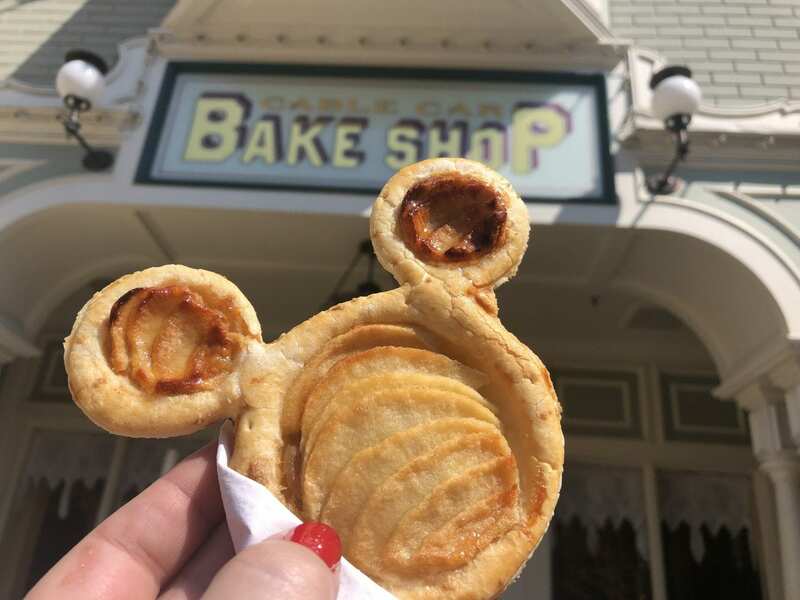 Again on the right side of Main Street as you make your way towards the castle is the the ‘Cable Car Bake Shop’. They have lots of lovley looking desserts. Not many Disney themed but I did discover this Mickey shaped Apple tart which was particularly yummy. Another hidden gem is ‘Victorias’. As you enter into Central Plaza it’s just on the right. 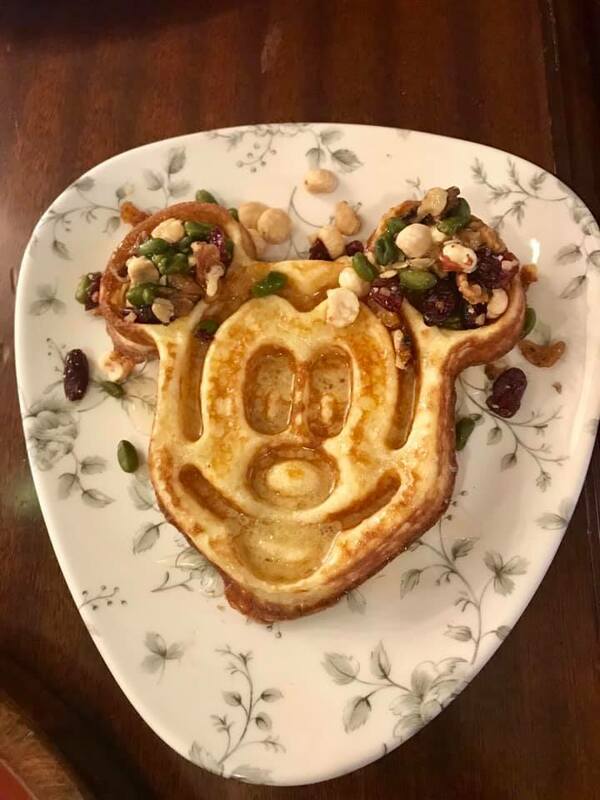 I had it on strong recommendation that the Mikey shaped waffles are amazing, and come in several guises from mango to chocolate and hazelnut. Sadly on this trip we didn’t get to sample one of these waffles as at the time of our visit Victorias was only open 3-9pm and it just didn’t fit in with the rest of our plans. Further into the park I also found a little Mickey shaped cake hiding in the corner at ‘La Petite Maison des Jouets’ opposite Alice’s curious Labyrinth. It was a soft cake with almonds and was just right for a little mid morning sack. 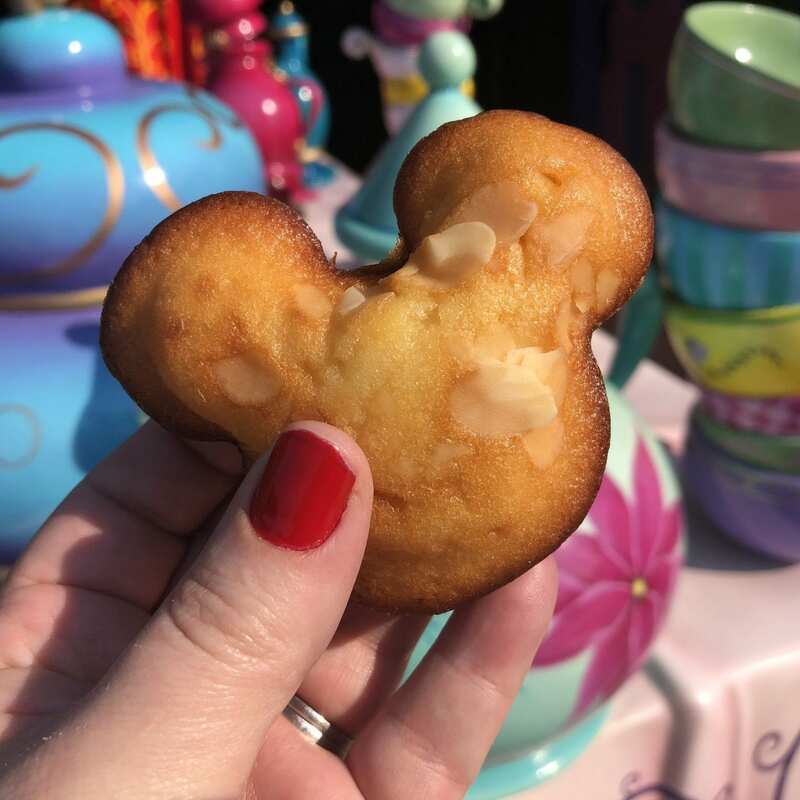 There was also some little Mickey cakes on sale at the nearby ‘March Hare Refreshments’. 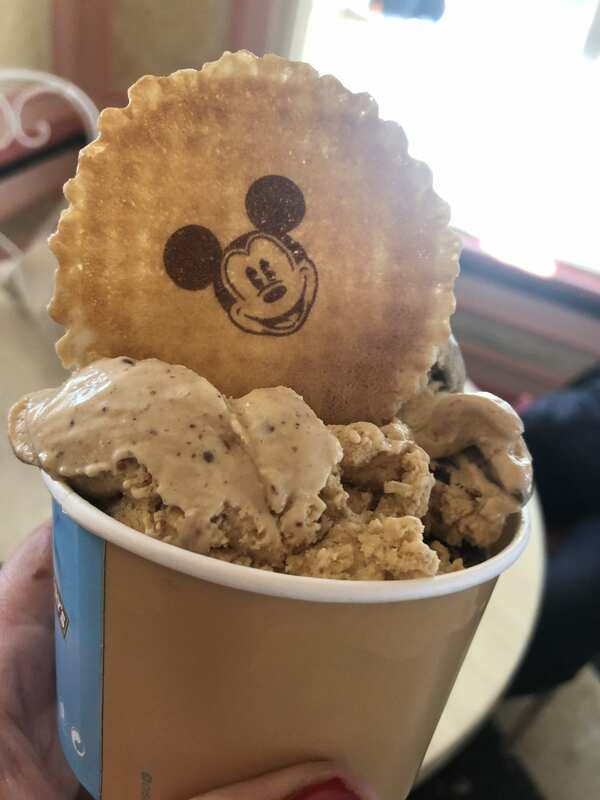 You can also find Mickey wafers on a variety of desserts, and accompanying the Ben & Jerry’s Ice cream sold at ‘Gibson Girl’ at the end of Main Street. By the way the peanut butter cup ice cream there is amazing! 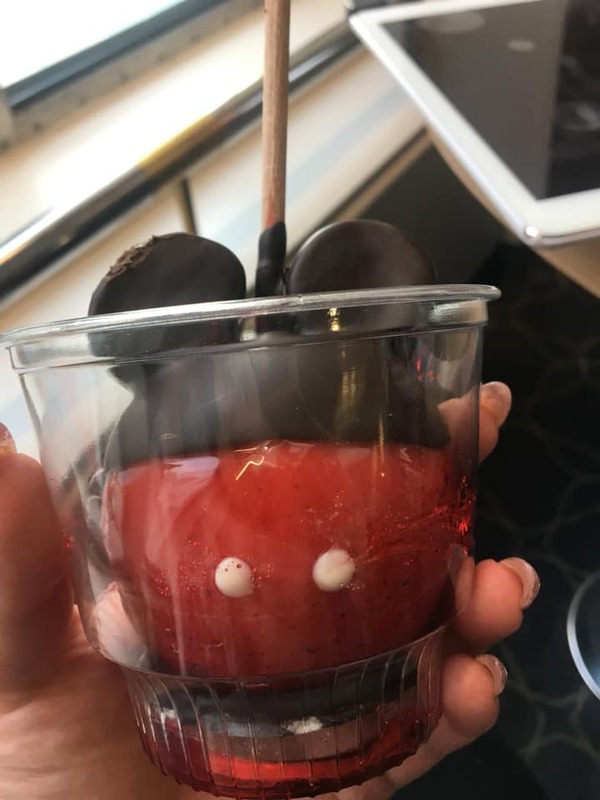 You can also find Mickey toffee apples in the Disney village. They didn’t seem to be around we we visited, but I suspect they may pop again at some point. These are sold by the Gourmandises & Co. Sweet Treats vending carts in the village near Planet Hollywood. 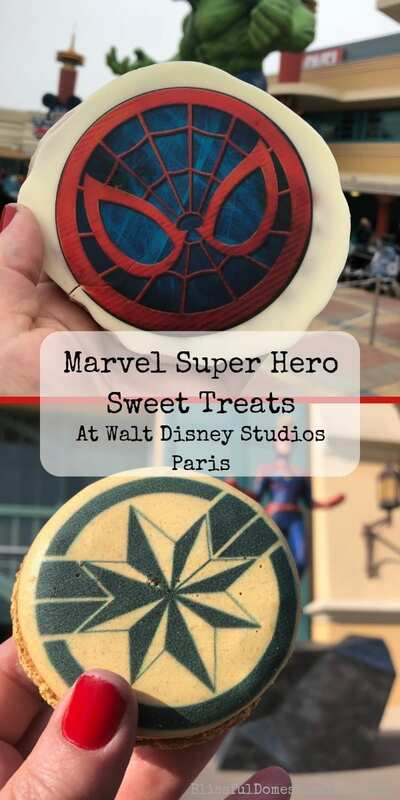 So if you looking for Disney themed treats it’s worth checking these out too. Lastly on the Mickey inspired treats is the ones you will find in the table service restaurants. The Mickey dessert in cafe Mickey is lovely. We didn’t make it there this time, but did when we visited 3 years ago. If you lucky enough to be celebrating a birthday in Disney land then there’s a good chance the cake will be Disney themed. 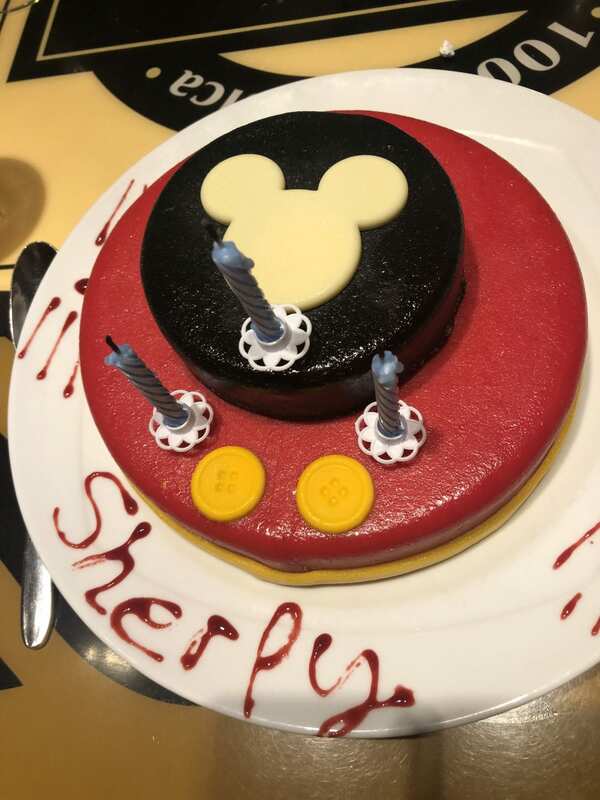 We had this fab Mickey themed ice cream birthday cake at Bistrot Chez Remy, which was absolutely delicious! 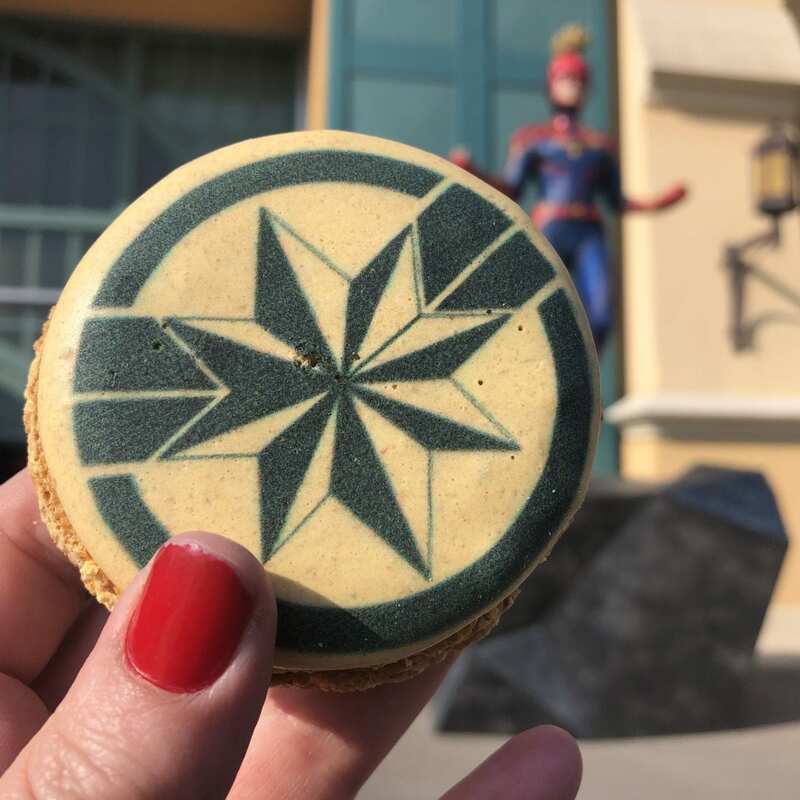 We went to Disneyland at the start of the Season of Superheros, so there was an abundance of Marvel themed sweet treats to find within the Walt Disney Studio park. They were available in several outlets in the park, but the best ones were found from the vending carts dotted around the studios. Just a warning if you heading for one of these sweet treats, they sell out fast! If you have your heart set on one then head there in the morning when the open at 10am. 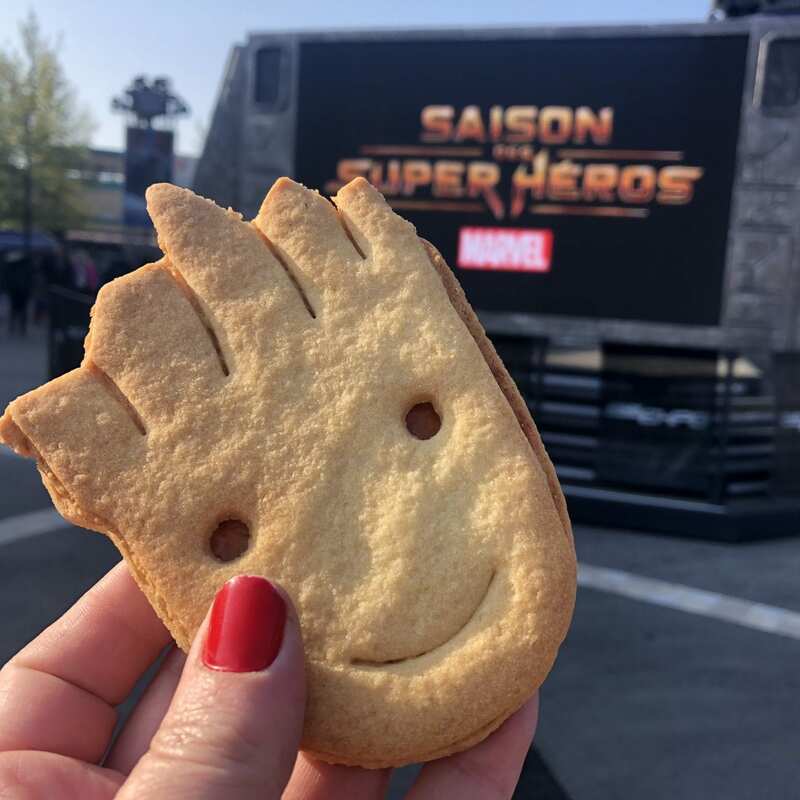 They also had salted caramel Groot shortbread and Groot vanilla macaroons. Most of these were found in the table service restaurants during formal dining, but they are worth mentioning in case you are planning to visit these restaurants. 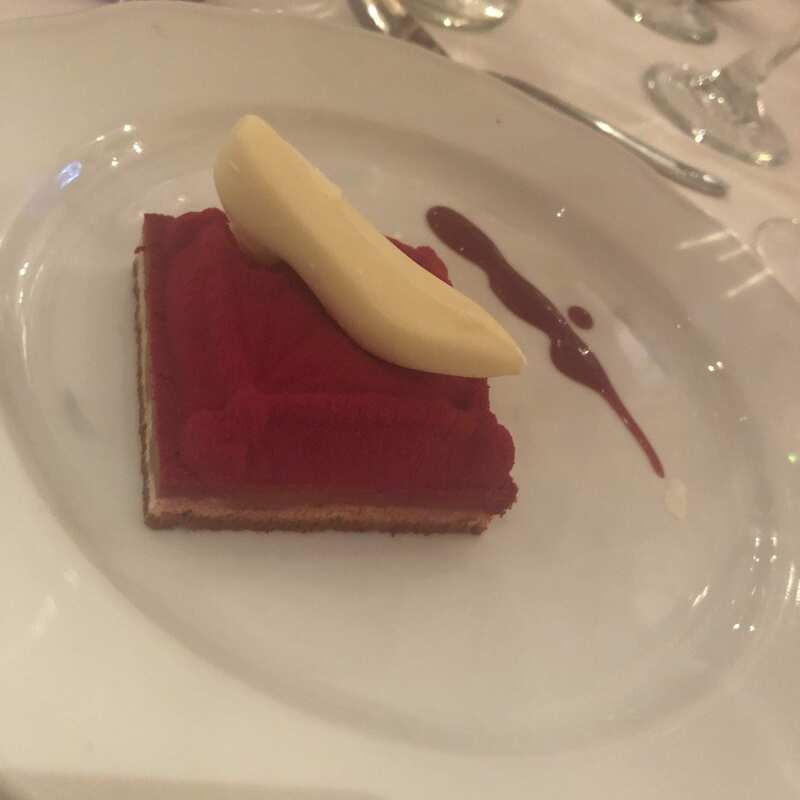 At ‘Auberge de Cendrillon’ there were Cinderella themed desserts on both the adult and children’s menu. 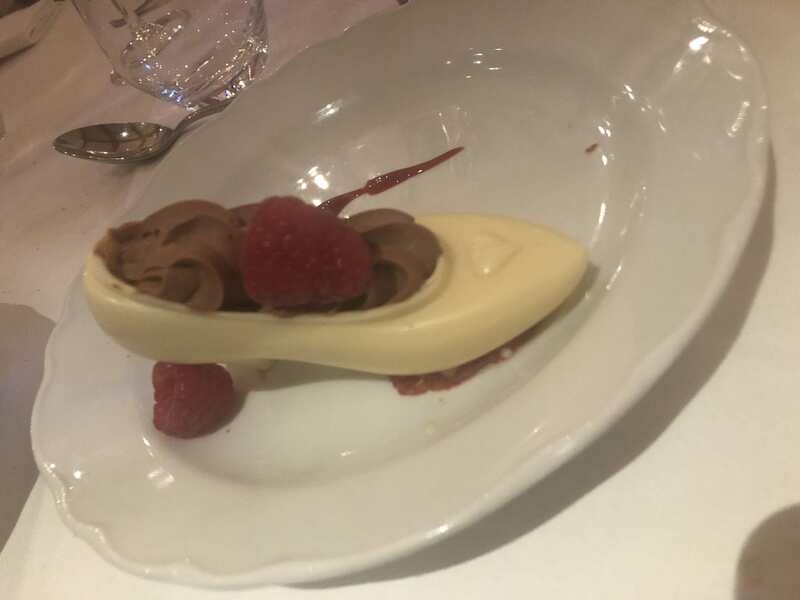 The kids was a white chocolate glass slipper filled with chocolate mouse. 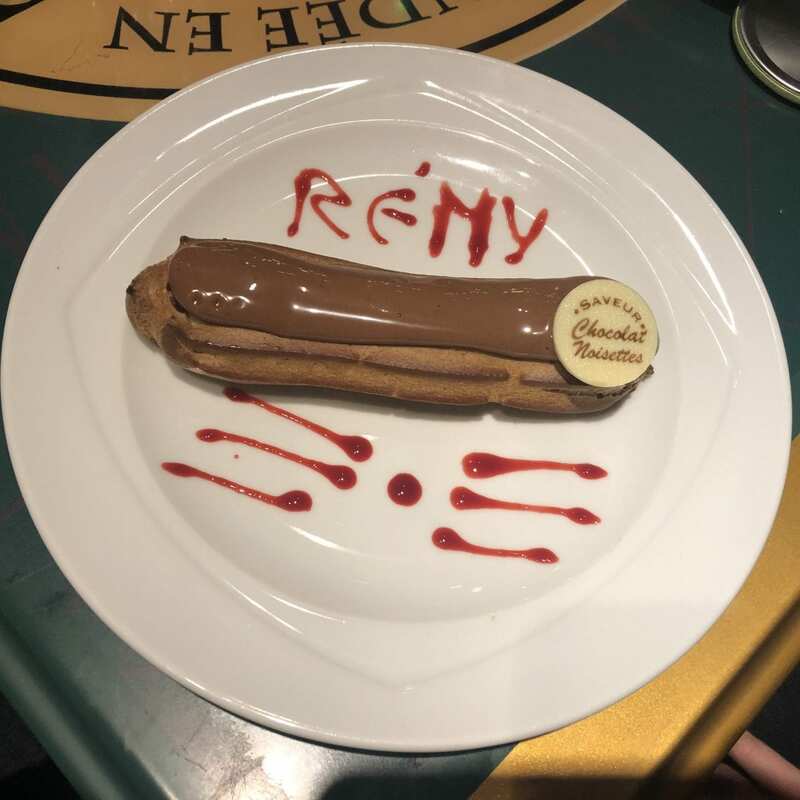 At Bistrot Chez Remy the kids hands a chocolate hazelnut eclair that had some fab raspberry coulis whiskers. 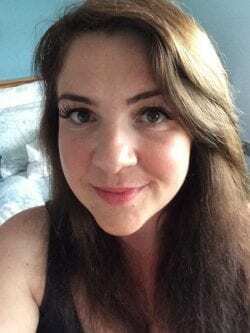 Lastly I couldn’t write this post without including the Glowtini. Not technically a themed sweet treat, but a treat no less and a must in my opinion when you visit Disneyland Paris. 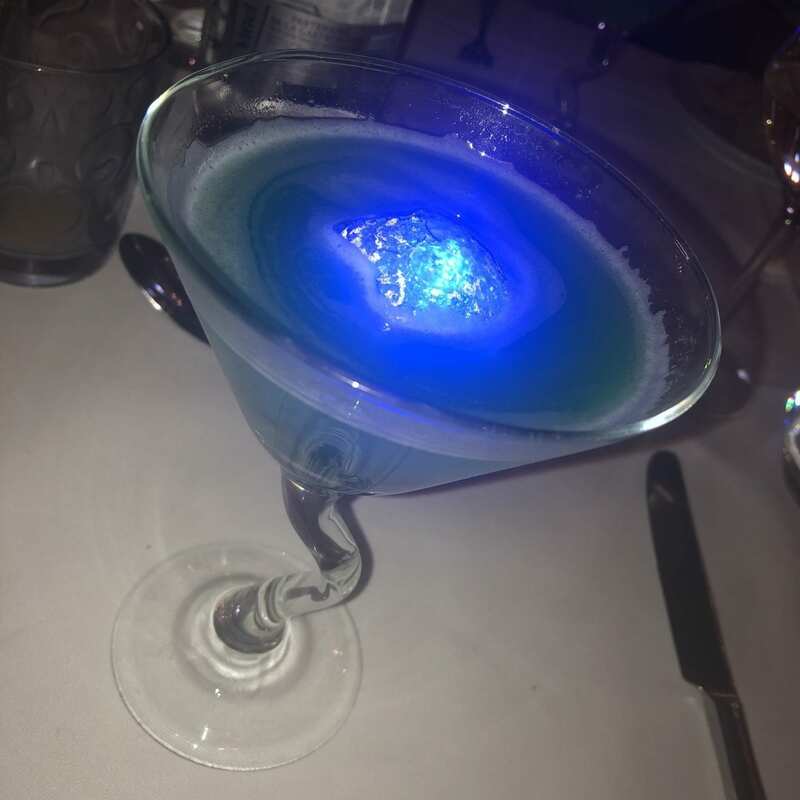 This yummy vodka based cocktail is served with a glowing star. The best bit is the star has a little button on the back which allows you to change the colour! 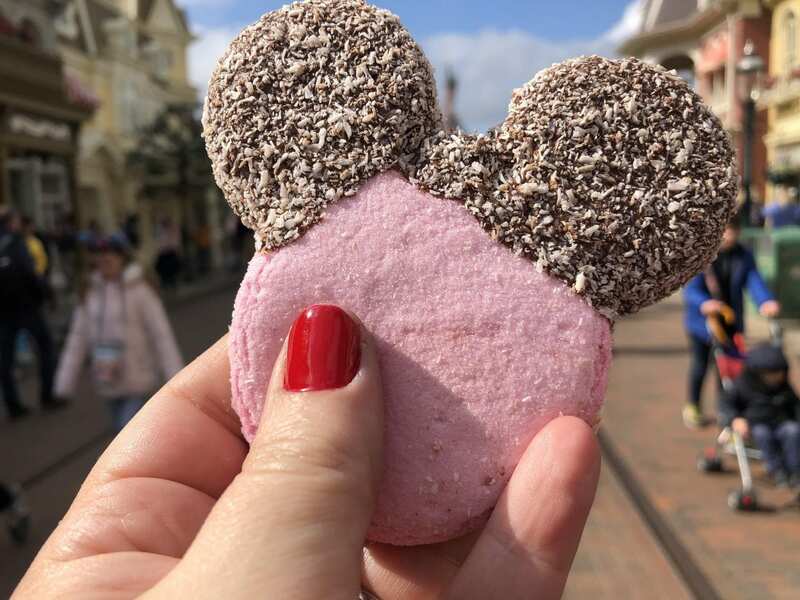 If you have been to Disneyland Paris and discovered other Disney themed sweet treats please do let me know, and if your going soon I hope you found this post useful! More DLP post from our trip will be coming, so make sure you subscribe to our weekly newsletter so you don’t miss out!